R&B pioneers Otis Williams & The Charms made their mark on popular music through a series of recording on King Records. 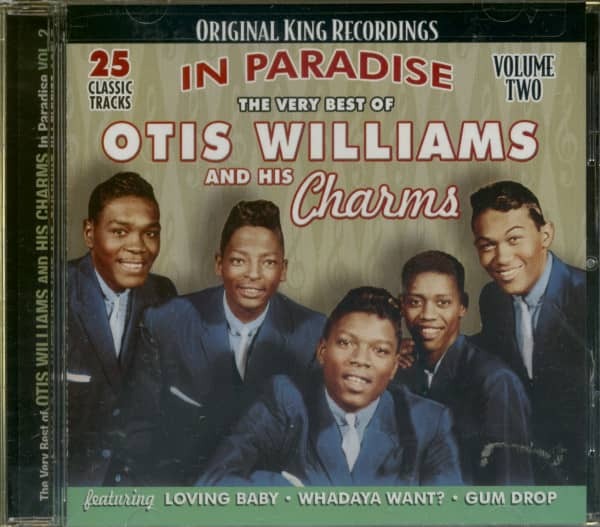 Otis Willaims & The Charms were a mainstay on the R&B charts in the 1950s. Otis Williams continues to perform and, in 2001, was inducted into the United Group In Harmony Of Fame. 'Loving Baby,' 'Whadaya' and 'Gum Drop' are included in this collection of twenty-five original songs. 02 What Do You Know About That? 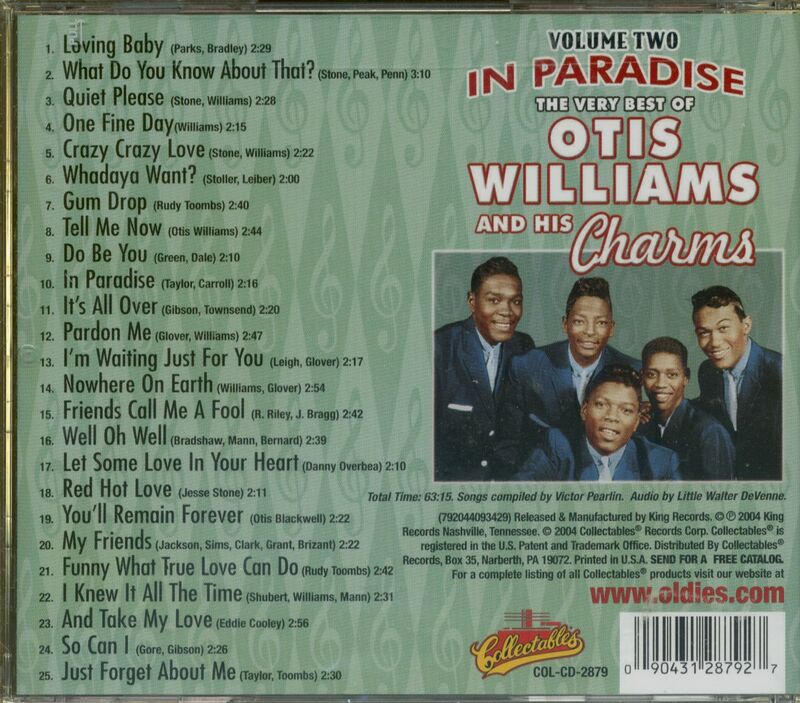 Customer evaluation for "The Very Best of Otis Williams and His Charms - In Paradise, Vol.2 (CD)"